I got to see it the other day, on a great Sony digital Muvico screen in Rosemont, Il. In 3D, no less. I’m not a fan of 3D, but there have been some great advances. The 3D stuff I had seen before was at Disney World, like the Mission to Mars ride. This one didn’t even give me much of a headache. Actually, I agreed a lot with John Scalzi’s comments – and we don’t always agree on things. Cameron did something here that science fiction producers will find their films compared to for years – and probably they will find their own films lacking. Here are my issues with the film, though. (Spoilers Ahoy!) I know that Cameron was telling a story that’s been repeated over and over on Earth over the last 500 years. But it’s not just “ignorant savages” that get nailed. It’s not that far from taking private property from an individual and trying to use the eminent domain defense to build something that will bring in more tax money. But whether we are talking about the Native Americans (oops – Obama calls them “First Americans”) or the Kelo Supreme Court decision, it’s the same thing. Those with power often will feel they can use it to their own benefit, and should, because their needs or wants are more important than those of others, who they feel as being weaker. Rush Limbaugh says ours is a world governed by the aggressive use of force. Other worlds are not going to be any different, says Cameron. It it Big Business? Is it Big Business in league with Big Government? Who cares? It’s still an assault on liberty, right? 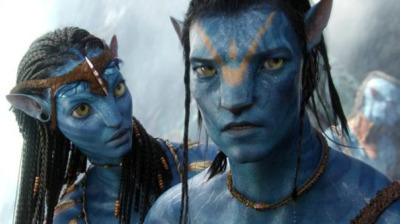 And the Na’vi have to defend themselves. How do they do it? Physically, with weapons. Their weapons are animals and bow and arrows, while the other side has assault helicopters and mecha suits, but they win anyway. The very planet helps defend itself. That’s a bit of a tree-hugger theme, on the surface, but the plot lays out that there is a sort of neural network in the vegetation, so it’s more science fiction than eco-fiction in my view. It’s not volcanoes or weather that do in the attackers, it’s the plants and animals, so it smacks less of Gaia and more of Simak‘s All Flesh Is Grass. I’ve had kind of libertarian template in my head lately, so I happen to look at this film as another demonstration of why an armed populace will not be dominated. I doubt that’s what the Hollywoodies are thinking, and I even doubt that’s what Cameron was thinking, but it’s still true. Don’t want your property to be taken away? Be prepared to defend it! Flying soon? Be prepared to take down the terrorists yourself! Apparently the terrorist on Flight 253 was taken down by alert passenger Jasper Schuringa, according to the report in the American Thinker. 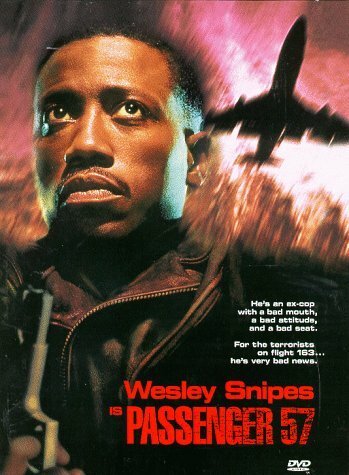 We’re all going to have to be Wesley Snipes, since the US Government, which is always trying to take care of us, as we all know, wouldn’t put the guy on a terrorist watch list. Let’s see, he’s from Nigeria, studying in London, comes here but his father doesn’t know why, spent some time in Yemen before he came to the US…don’t we have guys who look at stuff like this? 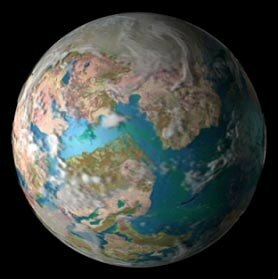 I’m building the planet for my explorers in my next book, in the Michigan Enclave universe. I would like some kind of software than would help me build the planet – the whole solar system, if possible. Some kind of fractal map generation would be helpful. Any recommendations? Leave me a comment. You are currently browsing the The Old Gray Cat blog archives for the day Saturday, December 26th, 2009.